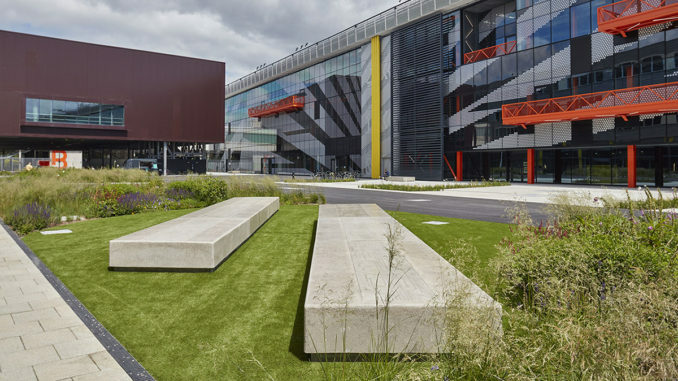 The public realm for east London’s new digital quarter, Here East, has been completed by LDA Design. 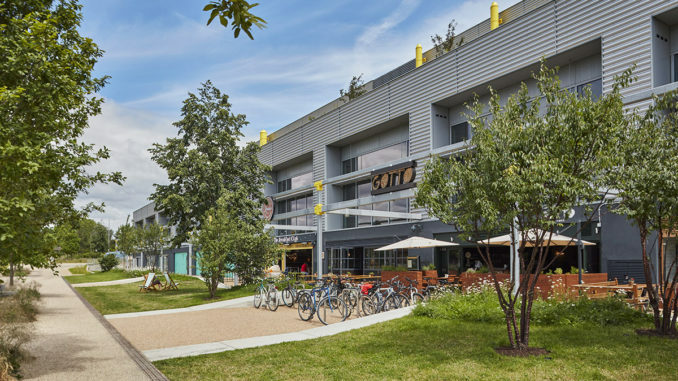 Here East is a major development of 1.2million square feet in Hackney Wick, in the former Olympics press and broadcast centres. It is already a thriving commercial space with state-of-the-art infrastructure for technology and innovation, including London’s largest data centre. 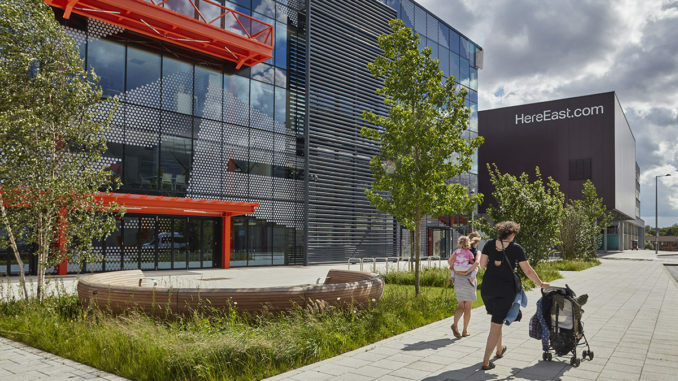 Tenants include Loughborough University, Hackney Community College, Infinity SDC broadcasting BT Sport, Studio Wayne McGregor and a new research centre for University College London. 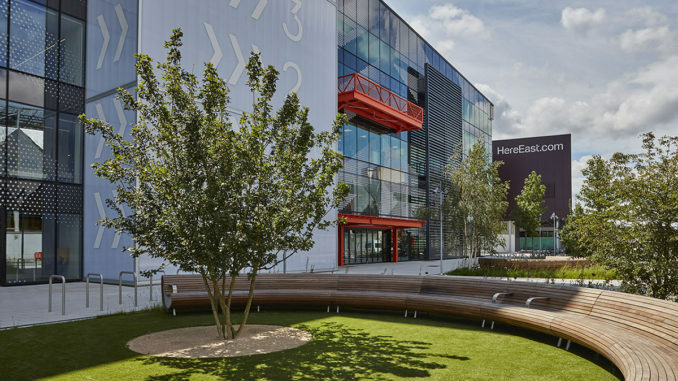 LDA Design, worked closely with architect Hawkins Brown to create public realm with a strong sense of place, to support the social life for the campus and local community. 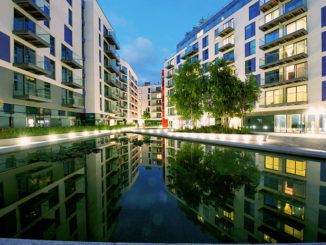 The public realm features a variety of environments, including the canalside, which are curated passively and actively. 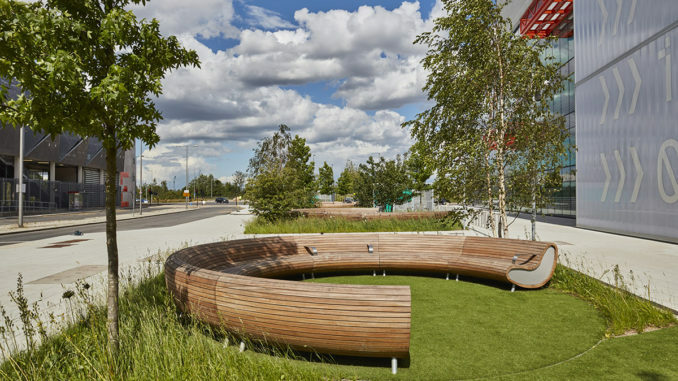 Circular timber benches and in-ground lighting create small sociable spaces within larger programmable open spaces for events and pop-ups. Yard spaces will be used for makers – artists and craftspeople – to design and manufacture on site. 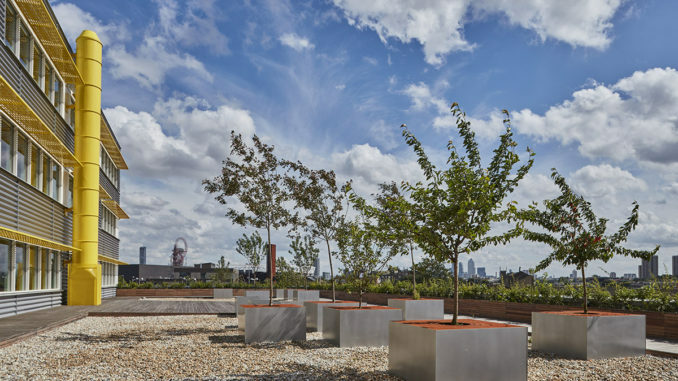 The landscape reflects the timeless industrial aesthetic of the site and the renovated buildings. Existing surface finishes are incorporated in the palette. Striking features to complement existing raw surfaces include a bespoke concrete bench. 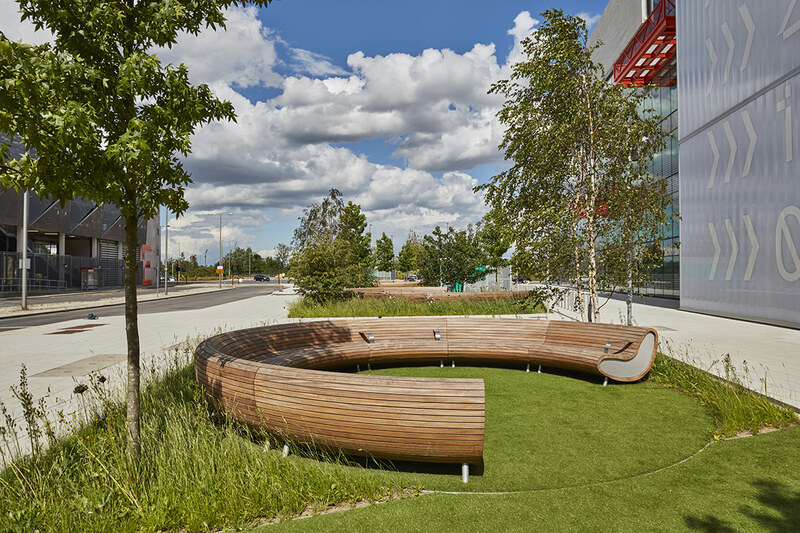 Perennial wildflower planting provides a physical connection to the Queen Elizabeth Olympic Park, where LDA Design led masterplanning and detailed design. 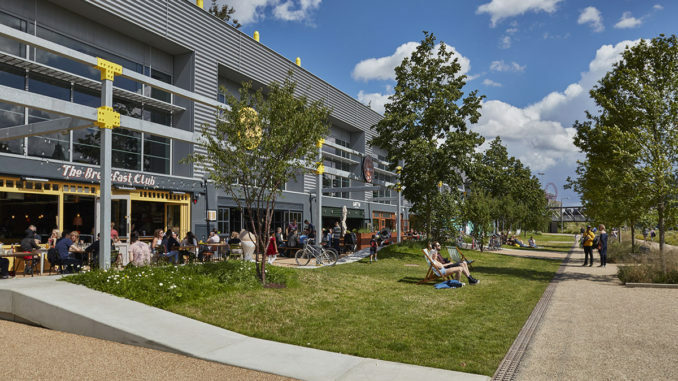 Kath Kok of LDA Design comments: “Hackney Wick has kept its distinctive entrepreneurial character, and Here East itself feels purposeful and unembellished. The public realm is designed to respond to this, to be flexible, and to ensure the buildings and public realm work as one to attract the makers of the future”.